Capcom have revealed new details about their upcoming Resident Evil 6 game. We've got confirmed details on the characters, location and new gameplay elements including the new fluid control system. 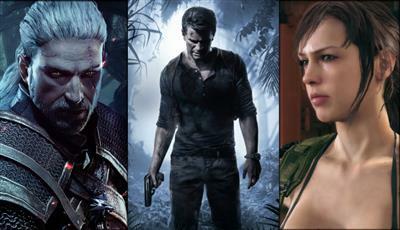 Resident Evil 6 looks set to be one of the biggest selling games in 2012, maybe even the biggest selling RE in the series. The long running survival horror game takes us back to the roots of Chris and Leon whilst adding superior graphics, more intelligent zombies and a more fluid control system. Let's take a look at what Capcom confirmed.. There's going to be a new fluid control system that brings RE into the modern FPS genre. You'll be able to shoot whilst walking and slide or roll in any direction. You'll also be take cover during combat just like in the Mass Effect games. For close combat situations, players can use the new melee attack to inflict maximum damage or perform 180 degree turns to run away! Classic horror elements make a return. 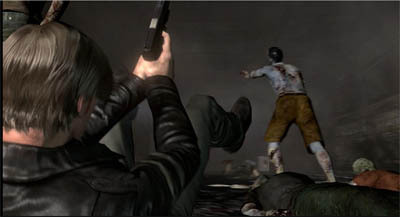 They'll be less of the action hero adventure we saw in RE5 and more of the dark settings we saw in RE4. The zombies have been tweaked to make them more intelligent and harder to avoid. They'll pick up weapons and tools to use against you. They can run and jump over obstacles to get at you. We saw a little of this in RE4 and later in RE5. Zombies would wait until you stopped shooting and then run at you. It was easy to lead them into a corner and waste them all at once though. If I remember correctly, they could climb stairs and ladders already? Hopefully in RE6 they'll be climbing over walls, cars and anything they can grapple onto. As speculated previously, the location for Resident Evil 6 will be China and the actual name of the place in China has been confirmed as a fictitious costal town called Lanshiang. 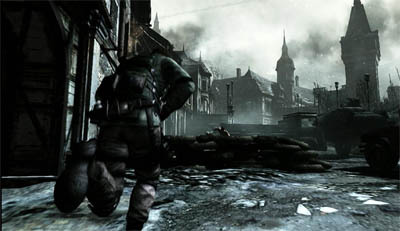 The game is set in 2013. 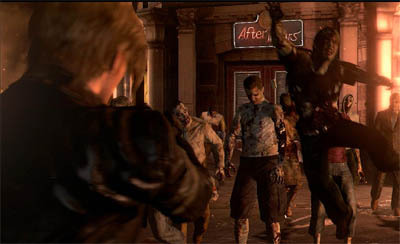 Resident Evil 6 is set to be released on 20th November 2012 for the Xbox 360, PS3 and PC. Capcom confirmed that they're 50% of the way through the games development but there's still quite a way to go.